Matt was born and raised in Stillwater Minnesota, just east of the twin cities. He started fly fishing at the age of 5 from the small creeks near his home all the way to chasing Steelhead and King Salmon around the Great Lakes tributaries in college. 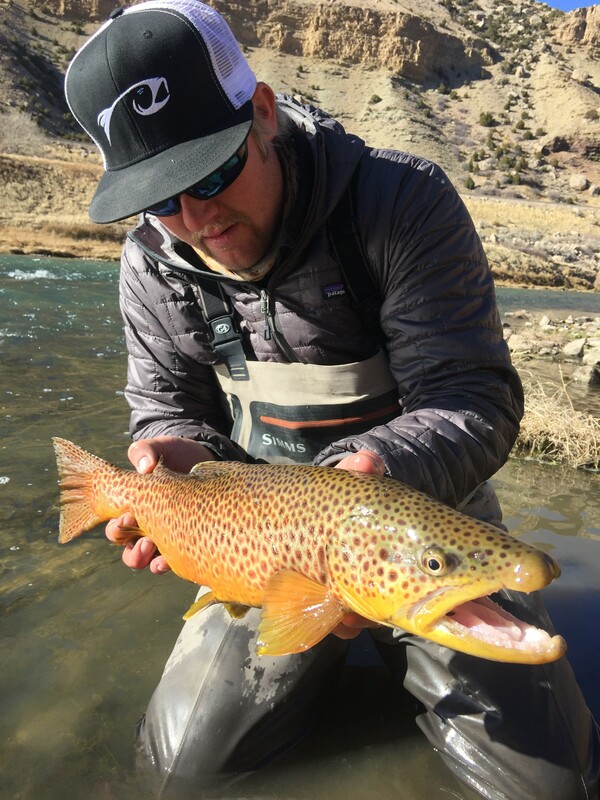 Matt jumped at a job opportunity in Casper Wyoming so he could further pursue his love for fly fishing and has lived here since 2008. In his spare time he enjoys guiding his wife (who does occasionally out fish him), tying flies and exploring the outdoors with his dogs Max and Waker. Matt has boasted that his wife has made him a better guide and would love the opportunity to take a break from her and guide you.